Thanks to Bitcoin, cryptocurrency and blockchain is a rapidly growing market. There are some industries still reluctant to give into cryptocurrency. However, the gaming industry is one that has opened its arm wide, and it has been using digital currency for almost 10 years now. ESports and gaming are one of the biggest industries today and in 2017, there are about 2.2 billion gamers across the globe that’s expected to generate $108.9 billion in game revenues. Experts anticipate that by 2020 the global market will grow to $128.5 billion. Video games represent an industry prime for blockchain integration, and video game-related currencies across the board have exploded in price and volume. 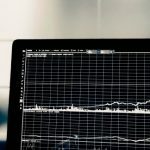 Gaming cryptocurrencies could change the face and economies of gaming and they are growing on an industry-wide scale to new all-time highs every day. It was incepted in 2015 under the name GamersCoin (GMC), but it was later rebranded to GameCredits (GAME). ENJ raised 75,084 ETH from 18,559 backers in their successful token launch in October. Enjin has partnered with Bancor and announced their adoption of the Bancor protocol as a component of Enjin Coin in order to provide an on-chain exchange and market-matching of any game items that have less liquidity. With the rumor of Enjin wallet being featured as a native app in Samsung S10, ENJ rocketed in the crypto market rankings recording a 7x price increase within a week. Ethbet is another promising gaming-based cryptocurrency that lets players wager with no house edge in a peer-to-peer manner. Ethbet is a newly developed dicing platform based on the Ethereum blockchain and Ethereum smart contracts. Ethbet is revolutionizing the way gambling on the blockchain works by becoming the first project to support peer-to-peer betting, allowing players to cut out the middleman and works by matching up game players against each other. This model allows players to receive a return higher than the returns offered by any other platform and gives them a fairer gambling experience. Ethbet held a crowdsale from September 17th to September 21st 2017 and reported a 100% sale of its 7,500,000 tokens available (there is a total supply of 10,000,000 EBET tokens). 10% will go to Ethbet’s partners, 5% will go to the bounty and the community, and 10% will go to Ethbet itself. 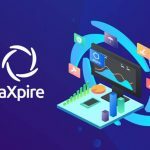 The funds raised during the crowdsale went on further improvement of the platform, including further web and application development and third-party contract security audits. The USP of Ethbet lies in its provision of gambling without a house edge, because by default Ethbet has no house edge. FirstBlood is another Ethereum-based platform and it operates on the Ethereum Virtual Machine and is powered by 1ST tokens. FirstBlood is an eSports tournament platform that uses a jury to decide on match outcome and allows users to bet on games without the risk of money transfer, middlemen corruption, and financial regulations. 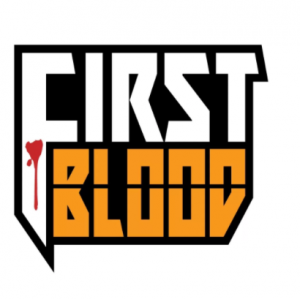 FirstBlood was launched in 28/09/2016 by the team of developers Zack Coburn founder of EtherOptt, Joe Zhou, co-founder and CEO of Alt-Options, Mikko Ohtamaa CTO and co-founder of LocalBitcoins, and Joey Krug, core developer at Augur. FirstBlood is a decentralized application (dapp) that intends to make the eSports industry more transparent and efficient while bringing in a new demographic into the crypto community. In this way, the platform brings cryptocurrencies one step closer to mainstream adoption. FirstBlood hosted a crowdfunding campaign that took place on September 26th at 12AM UTC and lasted for a month and was able to raise $5.5 million. FirstBlood alpha is expected to launch in December, followed by community tournaments in January 2017 and formation of regional FirstBlood communities in the first months of 2018. Mobilego MGO . – Vector Icon of Cryptographic Currency. MobileGo is another decentralized blockchain-powered crypto platform that works on the Ethereum smart contract technology. MobileGo is an offshoot of GameCredits and aims at revolutionizing the gaming industry. Some benefits of this platform include absolute control by players and non-requirement of dedicated mobile apps. This project wants to bypass the restrictions and high fees charged by the dominant mobile app stores by allowing Android users to install a custom app store with a selection of partnered games. MobileGo is a smart token that can facilitate P2P matchplay and tournaments for millions of competitive gamers worldwide – all of which are decentralized. During their crowdfunding ICO, MobileGo raised $53 million, which became the second biggest ICO at the time. 50% went to direct marketing, 30% is reserved for legal fees, licenses, partnership development and branding, and payment processing float and 20% to MobileGo development including virtual marketplace, gamer to gamer match play, and decentralized tournament play. Decentraland offers users a virtual reality platform that you can use to create content and applications, as well as experience and monetize them. Decentraland runs on the Etheruem blockchain and uses it to store crucial information about land ownership and other important content. Decentraland positions itself as the world’s first virtual platform on which the users hold all the power, making it stand out from the crowd. There are no limits with Decentraland as to what you can build, create and share with the world, except your imagination. Users can buy land using the Ethereum Blockchain and have full ownership rights. From there, you are free to build whatever you want – you can go shopping with your friends, interact with each other, start a business, you can test-driving a car, buy and sell virtual items, visit an underwater resort, run applications on different parcels of land, watch live music, attend a workshop, go to a casino, among other things. All of this will be experienced inside a 360 degree virtual reality world that can immerse users via their web browser or VR headset. So there you have it. These are five of the most promising gaming based cryptos. There are a plethora of gaming cryptocurrencies on the market today but it’s still very early to choose a solid winner. However, we think these five projects have the potential for success and suggest both crypto and gaming enthusiasts alike take a closer look. Hope this mail finds you in great spirit. I was searching for some information on blockchain technology when i came across your site and was pretty impressed with the content on tech space and blockchain technology. We deal in blockchain and cryptocurrency and have a wide range of clientele.It would be really great if we can connect on this matter. I saw a new one for unreal engine today called RPG Coin. I don’t think it’s released yet but still cool. The fact you left out Loom Network makes me question your research skills. Loom has the most played game i.e. MyCryptoHeroes, on the ethereum network. Also check out Crypto Zombies; Zombie Battleground (a game similar to heartstone on the blockchain) by Loom on your Apple or Google Play store Loom has a solid partnership with one of the biggest gaming projects in Cocos2d with 1 million developers.